Exposure to general anesthetics induces neural apoptosis and degeneration in the immature neonatal brain. Erythropoietin (EPO) has been shown to protect neonatal animals against hypoxic-ischemic injury and general anesthesia-induced developmental neurotoxicity. However, preventive strategy caused by EPO against neurotoxicity due to general anesthesia is still uncertain. This study examined the effects of EPO administration on brain cytology and cognitive function in adolescent rats exposed to 3% sevoflurane as neonates. Seven-day-old rats received intraperitoneal saline (EPO 0 U group) or EPO (60, 120, or 600 U) 30 min before exposure to 3% sevoflurane with 21% oxygen for 4 h. The rats only received 21% oxygen without EPO and sevoflurane as the sham group. The Morris water maze task was performed time-dependently among the groups, 3 weeks post-anesthesia exposure. Escape latency and % quadrant in the EPO 600 U group were significantly reduced and increased, respectively, compared with those in the EPO 0 U group 6 weeks post-exposure. In addition, freezing time in response to the conditioned stimulus and the number of NeuN-positive cells in the hippocampal CA1 region were significantly increased in the EPO 120 and 600 U groups than in the EPO 0 U group 6 weeks after exposure. Moreover, the statistical parameter mapping of positive cell density was increased in the EPO-treated rats. 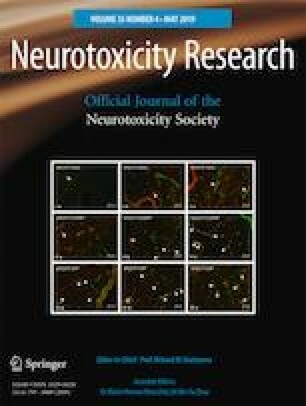 These results support the observations that pretreatment with EPO reduced long-term cognitive deficits and neuronal degeneration in cortex and hippocampus induced by sevoflurane exposure with low oxygen concentration in neonatal rats. I would like to thank Mr. Yoshitsugu Tobe and Dr. Yoko Masaki, Ph.D. from the Department of Anesthesia and Intensive Care Medicine, Akita Graduate School of Medicine, for the technical assistance. I am also grateful to Dr. Makoto Wada, M.D., Ph.D. from the Department of Rehabilitation for Brain Functions, National Rehabilitation Center for Persons with Disabilities, for the technical advice and the use of his software. This study was supported in part by a Grant-in-Aid for Scientific Research (C), JSPS KAKENHI Grant Number JP 24592291. The animal experiments were performed according to international ethical standards and approved by the research ethics committee of Akita University (a-1-2625). Every effort was made to minimize the number and suffering of animals.